No one like to see ads. They hogs up your bandwidth, track your browsing activity, and, ruins the overall user experience. 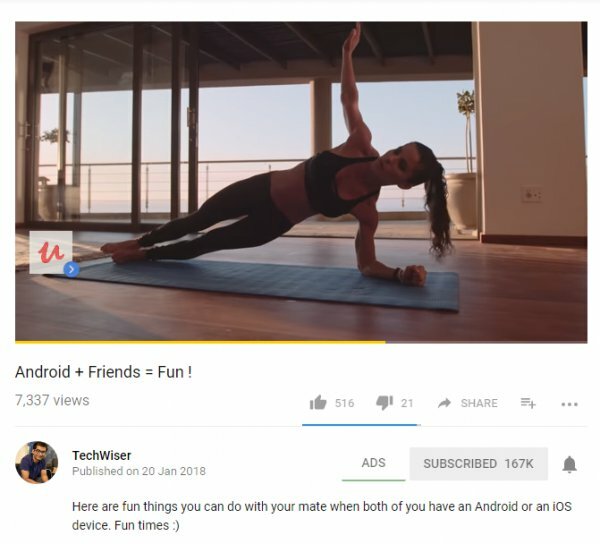 YouTube force users to watch ads before playing the actual video; which thanks to growing number of Adblock users, most of you don’t get to see. I get it. Ads are annoying. But, what if, I’ll tell you that some of your favourite YouTubers might have to shut down their channel in future, as they don’t make enough money. 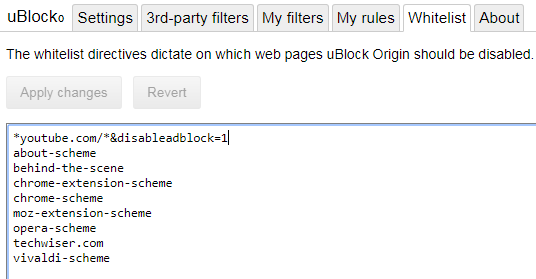 Save your favourite creator by whitelisting their channel in your Ad blocker. 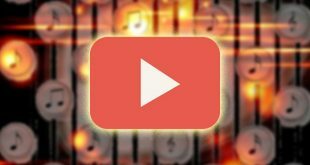 Unfortunately, whitelisting ads from specific YouTube channel is not as easy as doing it on websites. But fret not, I wrote this simple guide on how to whitelist specific Youtube channels irrespective of which adblock extension (or browser) you are using. Read: Adblock Plus vs uBlock Origin | Which one to Choose? The three most used adblock extensions are Adblock Plus, Adblock, and uBlock Origin. I will be covering solutions for these three, however, if you are using another, I found a solution that works on every adblocker. I could not find a solution for Firefox for uBlock Origin addon, but there is a workaround shared at the end of this article. 1. The first thing you need to do is download and install a user script manager called Tampermonkey. 2. Next, you need to download another Chrome extension for allowing Whitelist. 3. 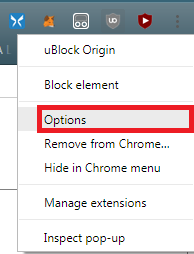 Right click on uBlock Origin and click on Options. 4. Click on the Whitelist tab and add this line of code at the top. Click on Apply changes button which is highlighted in orange. 5. Open any video uploaded by your favorite channel that you want to support. You will a new button “ADS” right before the subscriber count. Click on it once and you will see a green underline below the button. Refresh the page and you should see ads. Adblock offers the ability to whitelist any Youtube channel by default. 1. 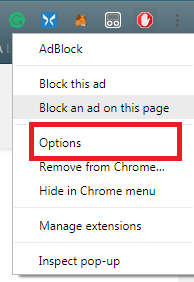 Right click on the Adblock button and click options. 2. 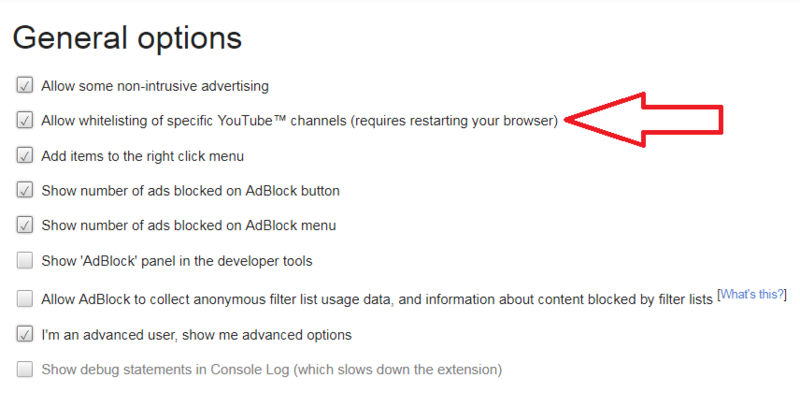 Check the “Allow whitelisting of specific Youtube channels” option and restart your browser. 3. 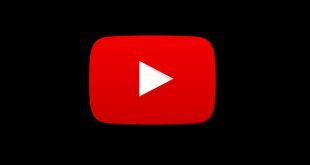 Open any video uploaded by your favorite channel that you want to support. 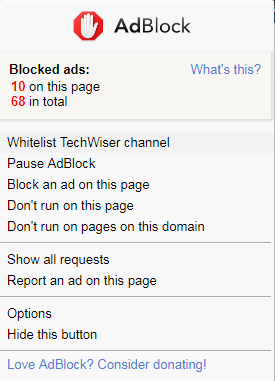 When the page loads, right click on Adblock and click on “Whitelist TechWiser channel” button. Refresh the page and all videos by TechWiser will be whitelisted. 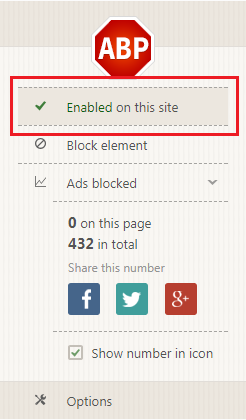 There is no direct solution for whitelisting ads on Adblock Plus, maybe because its Acceptable Ads initiative, which allow certain ads that it considered non-intrusive. Anyways, if you keen to whitelist ads on specific YouTube channe, while using Adblock Plus, here is how you go about it. Visit Youtube homepage, click on ABP and disable ads for the entire domain. So now, you should see ads on Youtube no matter which channel or video you are visiting. Now download and install this addon, Enhancer for YouTube™, in Chrome and Firefox. 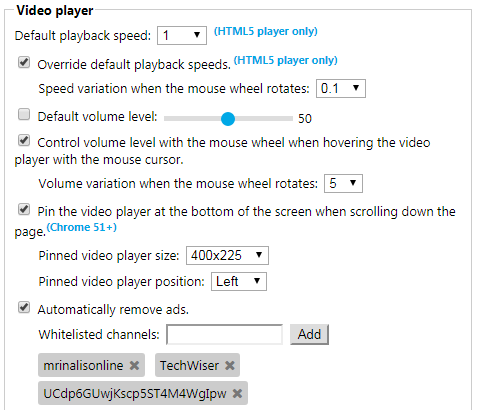 This addon offers a bunch of special features for Youtube, one of which is blocking ads and allowing them on specific Youtube channels which you want to support. Select this option and enter the name of the channel as it is displayed on its channel page in the Whitelisted Channels option. You will now see ads on your favorite channels only while ABP, or any other adblocker of your choice will continue to block ads on any and every site you visit via your browser. I like Adblock because it has whitelist feature built in which makes it easy to use and light on the browser. Enhancer for Youtube is a great extension but that’s one more addon for your browser. Use it only if you also want the additional features that it offers like keyboard shortcuts, viewing modes, and some additional buttons.